Congress on Thursday alleged that the BJP government in Gujarat had let four private companies - Adani, ESSAR, Tata and China Light Power - to "squander" Rs 26,000 crore of the public exchequer. AHMEDABAD: The Congress on Thursday alleged that the BJP government in Gujarat had let four private companies -- Adani, ESSAR, Tata and China Light Power -- to "squander" Rs 26,000 crore of the public exchequer by purchasing electricity from them at "unimaginably high rates" in a "huge power purchase scam" in the state. "The BJP government's motto appears to be let four private electricity companies profiteer! Let people and exchequer suffer," Congress spokesperson Randeep Surjewala said in a statement issued here. He said the "shocking revelations of profiteering" by the four private companies in Gujarat reek of a "huge scam in power purchase" that also "exposes the absolute falsehood and claims of power surplus state". 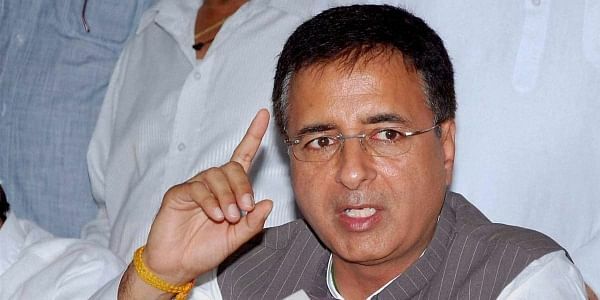 Surjewala said state-owned power plants had a capacity to generate 8,641 MW of electricity but still "they operate at an abysmally low level of 33 to 38 per cent of their capacities over the last three years". The Gujarat government was only producing 3,283 MW power from the state-owned power plants, he said. "And who is benefiting from that? Only four private power companies Adani, ESSAR, Tata and China Light Power from whom expensive power is purchased at the cost of people of Gujarat," the statement said. "Shockingly, the BJP government of Gujarat has been purchasing power from private companies at unimaginably high rates of Rs 24.67 per unity as the government-owned NTPC was supplying electricity to it at rates of Rs 2.88-3.17 per unit. "This proves the systematic undermining of power infrastructure by the BJP in the state." The statement alleged that "culture of crony capitalism perpetuated, propagated and promoted by the BJP government can be gauged from that the fact that in the last three years alone, the BJP government purchased electricity worth Rs 26,195 crore from the four companies". Subsequently, the statement said, Adani had been paid Rs 10,896 crore, ESSAR Rs 4,282 crore, Tata Rs 8,491 crore and China Light Rs 1,966 crore from 2013-16.